Find out if Sainsbury's Bank Pet Insurance made it into our list of the Top 10 Pet Insurance providers of 2019. What types of pet insurance does Sainsbury's Bank offer? How much does pet insurance from Sainsbury's Bank cost? This is a lifetime policy and includes: up to £13,000 veterinary fees cover per condition at home or abroad; unlimited length of cover per condition; a complementary treatment limit of up to £1,500 (for treatments such as homeopathy, acupuncture and osteopathy); up to £1,500 for physiotherapy; and up to £400 for behavioural treatment. Sainsbury's Premier Plus dog insurance policy also includes up to £2m in personal liability cover on a per incident basis. Holiday Cover: Trip cancellation, quarantine and loss of travel documents, and emergency repatriation - up to £1,500 per policy year. Safe Return: Theft or straying, advertising and reward, and emergency boarding fees - up to £1,500 per policy year. Loss Cover: Death from injury, and death from illness - up to £1,500; cremation cover - up to £100. This is a lifetime policy and includes: up to £7,500 vet fees cover, at home or abroad; unlimited length of cover per condition; a complementary treatment limit of up to £1,000; up to £1,000 limit for physiotherapy; and up to £250 for behavioural treatment. Sainsbury's Premier dog insurance policy includes up to £2m in personal liability cover. Optional extras are the same as Premier Plus. This is a time limited policy and includes: up to £3,000 veterinary fees cover, at home or abroad; 12 months' cover per condition; a complementary treatment limit of up to £500; up to £500 limit for physiotherapy; and up to £250 for behavioural treatments. Sainsbury's Standard dog insurance policy also includes up to £1m in personal liability cover. Holiday Cover: Trip cancellation, quarantine and loss of travel documents, and emergency repatriation, of up to £1,000 per policy year. Safe Return: Theft or straying, advertising and reward, and emergency boarding fees, of up to £1,000 per policy year. Loss Cover: Death from injury, and death from illness, of up to £1,000; cremation cover of up to £100. For more information on the different types of pet insurance policies, check out our guides to the best pet insurance for dogs and for cats. Sainsbury's Pet Insurance offers several discounts and rewards, including a multi-pet discount of at least £24 a year, double Nectar points at Sainsbury's for two years, a 12.5% discount for Nectar card holders, and 12 months cover for the price of 9. These discounts are only available for customers who buy a new pet insurance policy directly from Sainsbury's Bank. The 12 months for the price of 9 is only available if you buy a policy online. On all of Sainsbury's Bank's Pet Insurance policies, there is an excess of £99 for each unrelated injury or claim. It will not insure any conditions your pet had before you took out the policy, and your pet must be at least eight weeks old and not have reached its ninth birthday before you take out the policy. However, if your pet reaches its ninth birthday after you've taken out the policy, your cover will continue if you choose to renew. 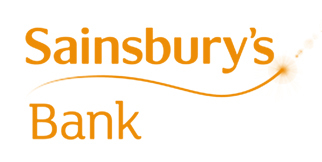 Sainsbury's Bank Pet Insurance is provided by Allianz Insurance plc. How much does pet insurance from Sainsbury's cost? These prices were calculated without any optional extras, and because we were a new customer getting a quote online, we received the 12 months for the price of 9 discount. Bear in mind that the cost of pet insurance will depend on a number of factors, including your pet's age, where you live, and which cover option you opt for. For more information, check out our guide to how much pet insurance costs. There are few reviews of Sainsbury's Pet Insurance online. Sainsbury's Pet Insurance has a rating of 1.8 out of 5 on Reviewcentre.com, based on 135 reviews. Sainsbury's Bank's Premier and Premier Plus Pet Insurance policies, with all options included, have both been awarded 5 Stars by independent financial review service Defaqto. Without all additional extras, these policies have been awarded 3 Stars. Its Standard policy has been awarded 3 Stars with all additional options included, and 2 Stars with no extras included. Step 1: Download the claims form from the Sainsbury's Bank website here. Or you can call them on the telephone number 0330 100 7914 and they will send you a form. Their opening hours are Monday to Friday 8am to 8pm and Saturday 9am to 5pm. Step 2: Upload the form to their upload page here. Sainsbury's Bank provides several other insurance products, including travel, car, life and home. Read our reviews of Sainsbury's home insurance and Sainsbury's car insurance here. Bought By Many has launched its own pet insurance policies that answer the concerns of thousands of pet owners. Get a quote here.